Tiki surf beach fun times. Bold, bright colors & a Mai Tai. ​It's always Warm & Cool in the MadTropic. Aloha! Welcome to the MadTropic. This is the place. I'm glad you could stop by. This is where a little dream grows larger every day. A dream of warm, sunny days and cool, starlit nights. Soft island tunes floating on plumeria scented breezes, or the roar of the surf and a salt water taste in the air. Rain forest mountains and white sand beaches. Palm trees in the sun. A dream so crazy, it just might work. An asylum of peace and happiness. When you need an escape from long, cold winters, nasty & brutish people, pain and mental anguish, or if you just want to sail away for awhile and clear your head; chart a course for the MadTropic. Everything here is Warm & Cool. 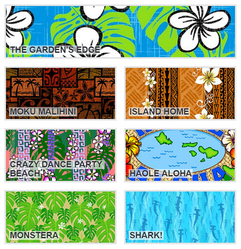 Spoonflower offers fabric, gift wrap, and wallpaper. We love what Spoonflower does. 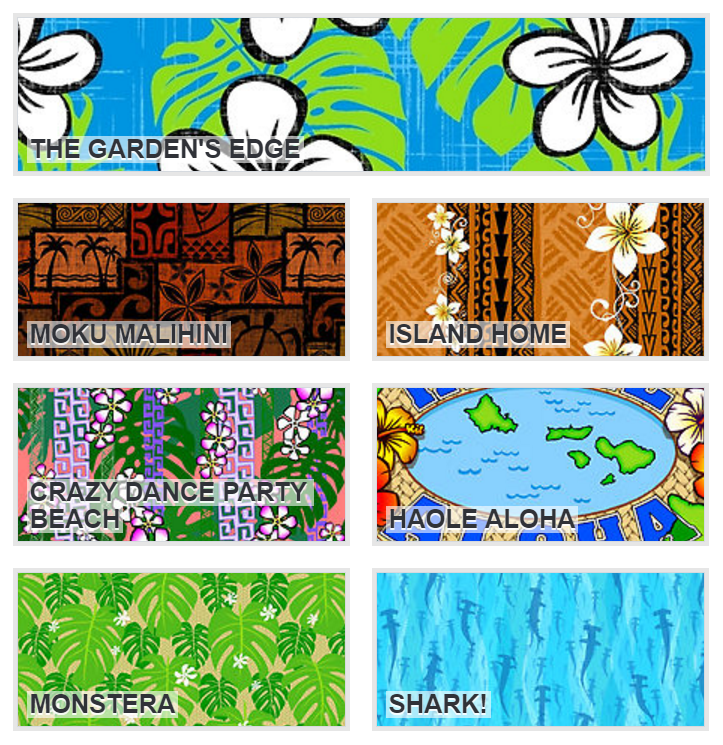 If you want to cover your world with Warm & Cool patterns, Check out our Spoonflower shop. 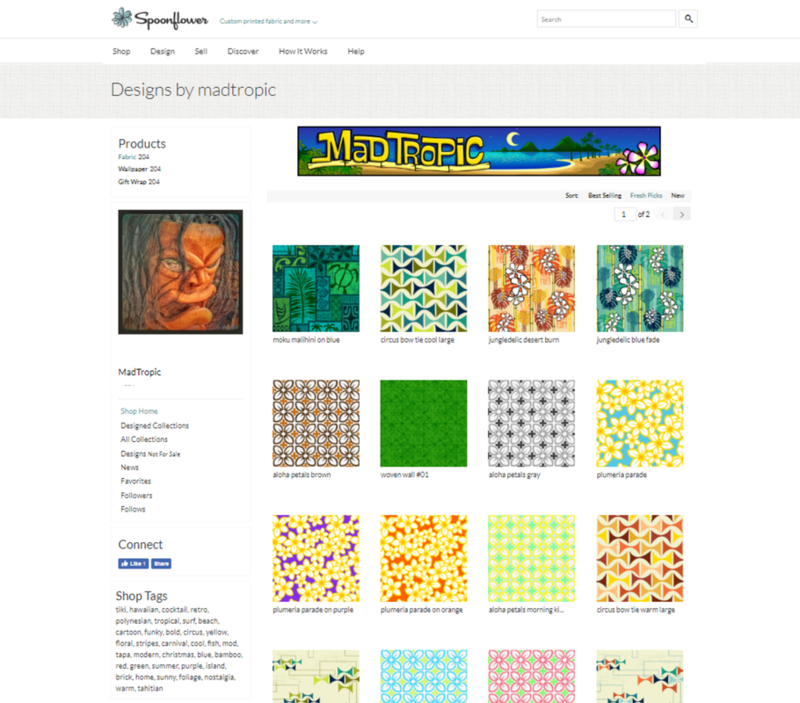 Our funky friends at Redbubble offer some great products that we love to plaster with MadTropic patterns and designs. It's all Warm & Cool. 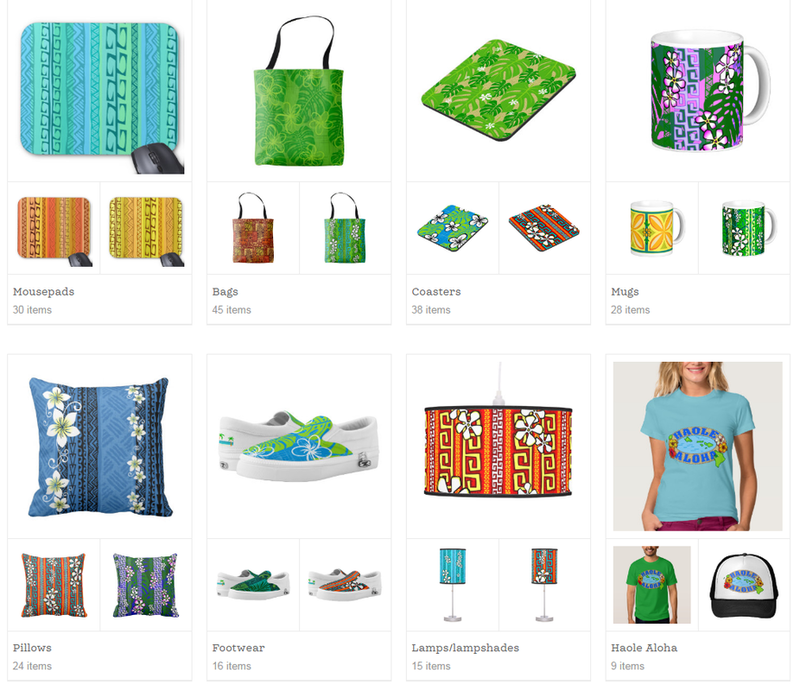 Zazzle has so many products that we just can't keep up. But we'll try to color everything Warm & Cool eventually. Get yourself a unique and tropical MadTropic gift. Made in Hawai'i in a small, artisan studio using only US sourced ingredients. Everything is crafted by hand, with genuine care and attention to detail.